Football brings different nations together! 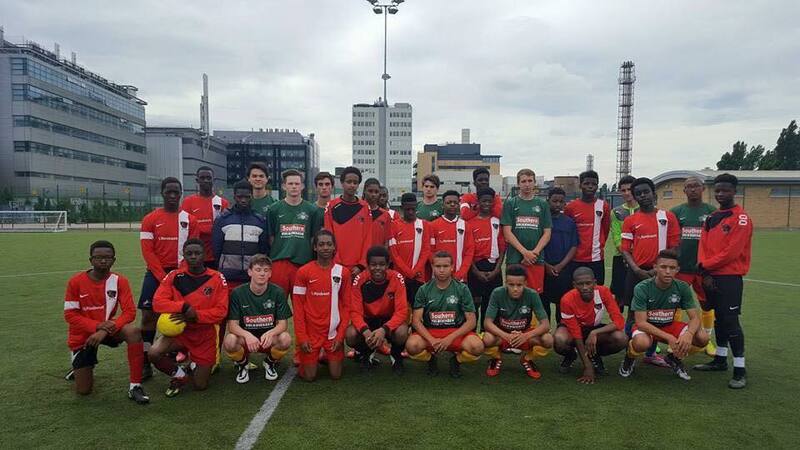 Over the last weekend we played our first international game of the summer period where our U15/16’s group including a few trialists for the new season took on a strong and well-structured U18’s side from the United States of America. It was an interesting encounter with both sides playing at a really high standard, our side was really unlucky in the final third with there shot stopper proving to be the best player on the pitch and was busy on several occasions. The game was a great experience for our boys playing against a different style, different culture, older boys and also against players who they don’t always get the opportunity to do so. We’d like to thank our opponents from Kansas City for the game and hope they enjoy their tour and stay in the UK! Keeper development coach from Cheltenham Town FC here! Just want to say what a great bunch of lads (u16) you have. They are a credit to your club. Hope you had a great journey home. I wish you well for the coming season.